I know I shouldn’t have been surprised. I am, after all, “a woman in a man’s job” and I’ve experienced some of the contempt that comes to any of us who dare step “out of our place.” And as a woman in my particular field, I find it is often other women who are my harshest critics. Even so I admit I continue to be surprised that such strong negative reactions continue to be so widespread and public here in the second decade of the 21st century. We’ve been doing this male-female thing for a long time now; shouldn’t we be doing it better by now? 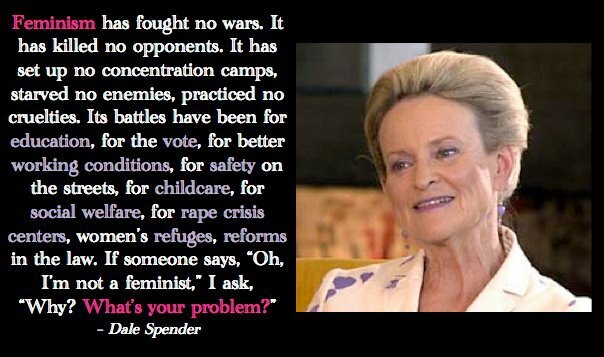 After I posted the feminist meme, I wrote Dale Spender an email to tell her how much I liked what she said and how much attention her words had gotten on our Coffee Party page. She wrote back from her home in Australia and since then, we’ve developed a bit of a friendship. This past February, Dale was invited to speak to the women who had won positions in Queensland’s recent elections. The Premier, the Deputy Premier, 42% of the Parliament and eight out of fourteen Cabinet members are now women. Just as she has articulated faithfully and forcefully over the years, Ms. Spender encouraged these bold women to engage the public conversation boldly. It is here in the public space that words are defined and meaning is developed. It is here in the public arena that women must speak out and help re-define what it means to be a woman, fully and equally endowed with humanity. There is so much bias embedded in our words and assumptions that many men (and too many women) can only see “reality” from a male perspective. Spender went on to say that, because of this skewed understanding of reality, “Whenever men make a statement, they represent humanity, while women – despite their numbers – represent a special interest group…” A significant reason for this bias is grounded in the vocabulary of our public conversations. For centuries, it has been men’s perspectives that have defined our words, men’s voices that have been most widely heard, men’s understandings that have been taken as the standard and the universal norm. One of the criticisms of our Coffee Party commenters suggested that the very word “feminism” contributes to a division between the sexes. But, for me, this word connotes association with those who have gone before. Yes, the term may conjure up different meanings for different people. Yes, the term may be limited and inadequate. Yet the word “feminist” designates us as partners in the crucial work of ensuring equal respect and equal access to the countless women who have been (who still are) disrespected and limited within our society and across the globe. As long as any of us continue to be dismissed or disenfranchised, then women have the right and responsibility to influence the public conversation by choosing words that spotlight the problem and point to solutions. 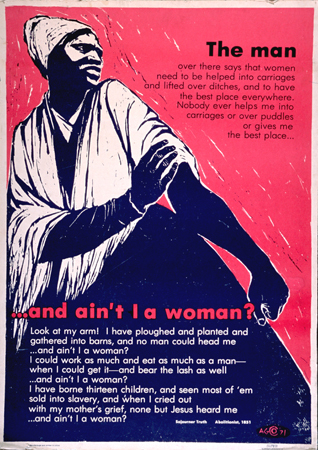 The feminism of Abigail Adams and Sojourner Truth exposed the white privilege and patriarchy of the Founders who – in a well-intentioned but profound irony – proclaimed that: “All (white, property-owner, free, male) men are created equal.” The feminism of Elizabeth Cady Stanton and Alice Paul advocated for the fully practical equality of male and female – even as the public voice of women in their culture and politics was consistently limited, demeaned and suspect. 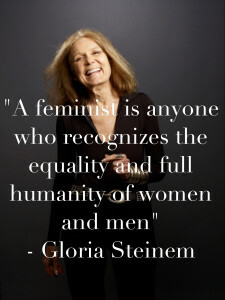 The feminism of Betty Friedan and Gloria Steinem confronted the ongoing limitations and prejudices that hindered a woman’s full participation in her society. Even with the impressive gains of this so-called Second Wave Feminism, laws and policies still plot to keep women under the thumb of some male or another. Hiring practices, pay scales and promotion protocols conspire to construct glass ceilings that create boundaries for how far a woman can advance. Some theological assumptions and biblical interpretations attempt to intimidate and shame women into staying “in their place.” Some sociological assumptions and generational patterns put the lives of untold women in danger every single day. Yes, in our current day, many of the old stereotypes are fading: some men work as elementary school teachers and nurses, some women drive fork lifts and fly fighter jets, some men stay home with the children, some women lead nations. But other stereotypes are stubborn and our cultural expectations are embedded so deeply within us that we can scarcely see them. Coming from a conservative background, it took me a while to become comfortable with the word “feminism” – maybe in part because it took me a while to become completely comfortable stepping into the equality of my full humanity. (I have written about this journey in other blogs.) But once I finally honored the history of the brave pioneers upon whose shoulders I stand; once I finally honored my own journey that followed in their footsteps, then I was able to embrace the term “feminist” with gratitude and hope. I now wear it with pride and humility. Feminism – advocating for equity and justice for women and children and men. 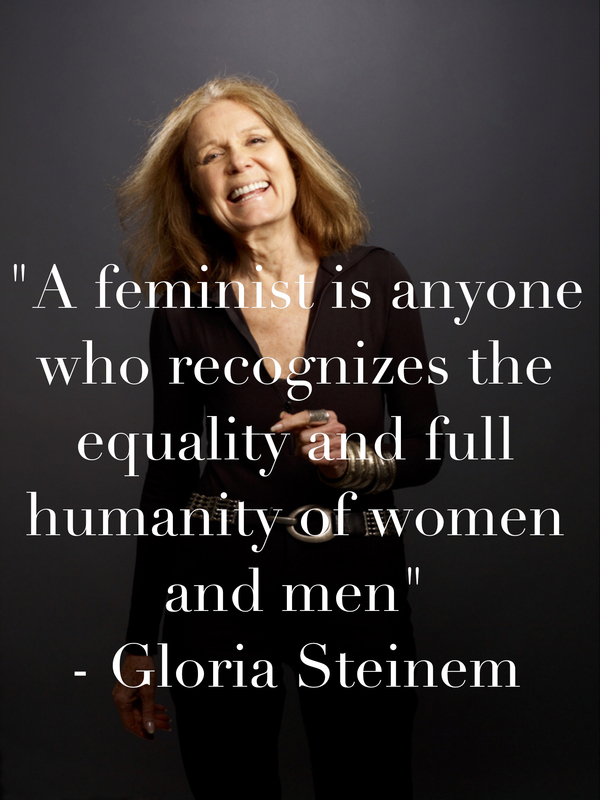 Feminism – working with everyone for everyone. Feminism – a force for good in society. 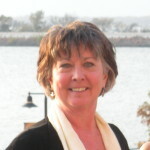 Charlotte is an ordained minister within the Christian Church (Disciples of Christ) pursuing a Doctorate of Ministry at Brite Divinity School (TCU) in Ft. Worth TX. 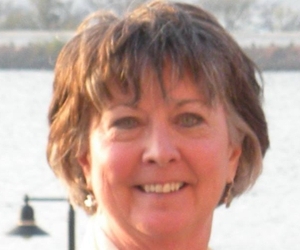 She is a volunteer at Coffee Party USA and contributes articles regularly to the Coffee Party Facebook page. I’m flattered! I published this online in 1997 and this blog (yours) is the first I have seen in reply. http://daisypetalz.blogspot.com/2010/07/the-f-word_16.html Isn’t it sad that in nearly 20 years the F Word has not really had any change or movement? Seems like once the NOW Crowd took hold in the late 70’s the movement’s reputation became tarnished and never recovered. Thank you Ona … for letting me know about your blog. Your “musing” is good, thoughtful, well documented. I like your gracious and bold manner. I’m grateful you found me and let me know about you and your work. My own blog on the “F-Word” would have benefited from reading your wisdom before hand. I’m glad to know another “muser” ! You have been a big influence in my journey, Carolyn! Thank you!